Should the DAC Pavilion include product tear downs? Send in your ideas for other DAC Pavilion topics. Most early mornings, I take my two Miniature Schnauzers for a long walk in Portland’s Forest Park. 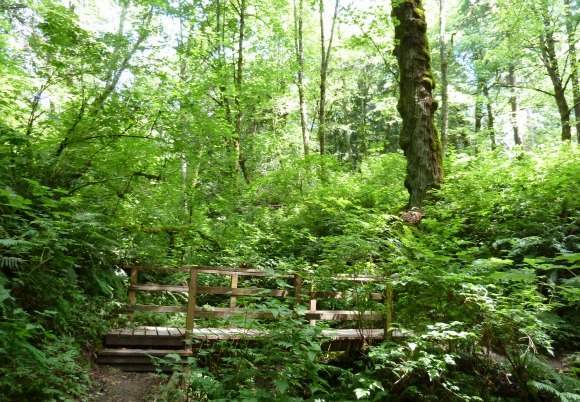 For those of you new to Portland, our Forest Park is the largest urban forest in the United States, with more than 5,000 acres and 80 beautiful hiking trails and paths. It is wonderful way to start the day, with the blue sky framed by the deep green foliage. It’s still fairly quiet at 7:00 am, and as long as I can keep up with Kismet and Diesel, I have some of my most creative thinking of the day. Recently, I’ve been mulling over fresh ideas for the DAC Pavilion. The call for contributions to DAC goes live in September. Those of you familiar with DAC will notice that we didn’t include a Call-for-Submissions for the DAC Pavilion. Our Pavilion committee has done an excellent job over the last few years building a stimulating program based on submitted proposals and committee discussions. However, the selection process has been increasingly frustrating for submitters and the panel format has become rather repetitive. Then there is the issue of conference attendees not venturing onto the exhibit floor. DAC is the only event that brings together designers, EDA engineering teams, academia, and the vendor community. So we –the DAC Executive Committee—need to better utilize the Pavilion’s prime spot on the exhibit floor to bring all those different attendees together. Our new goal is to make the Pavilion an integral part for every attendee –regardless of their registration category. The program will be anchored with a few traditional “must see” sessions such as Gary Smith’s “What’s Hot at DAC,” Hogan’s Heros, and a few fireside chats with either our keynote speakers or other luminaries in the industry. Two years ago we introduced SKY talks (Short KeYnotes) that were embedded in the DAC program. We had some awesome speakers, such as Walid Abu-Hadba from ANSYS, Dave Kleidermacher from Green Hills, Rob Rutenbar from the University of Illinois and Brad McCredie from IBM, to name just a few. However, the SKY talks could only be attended with a full conference pass and competed with other invited content and regular technical program sessions. We strongly believe that SKY speakers, like general session keynote speakers, should not have any competition in the technical program and everyone who attends DAC should have access to them. So we are changing not only the location but also the timing of our SKY talks. All SKY talks will happen in the DAC Pavilion on the exhibit floor and will take place during the two daily major breaks in the conference. We still need to work out an afternoon anchor set of events. That’s where I need your help. Everyone seems to love the product tear downs –so maybe we should have one tear-down session every day? What else would you like to see covered in the DAC Pavilion? As usual, I’m open to ideas—just send me an email. I will certainly continue to devote some of my morning walks to thinking about additional innovative ideas for the DAC Pavilion. I can’t imagine a better way to start the day. Here is a photo of Anne’s two Mini Schnauzers, Diesel and Kismet, who usually set the pace during her morning walks in Portland’s Forest Park.